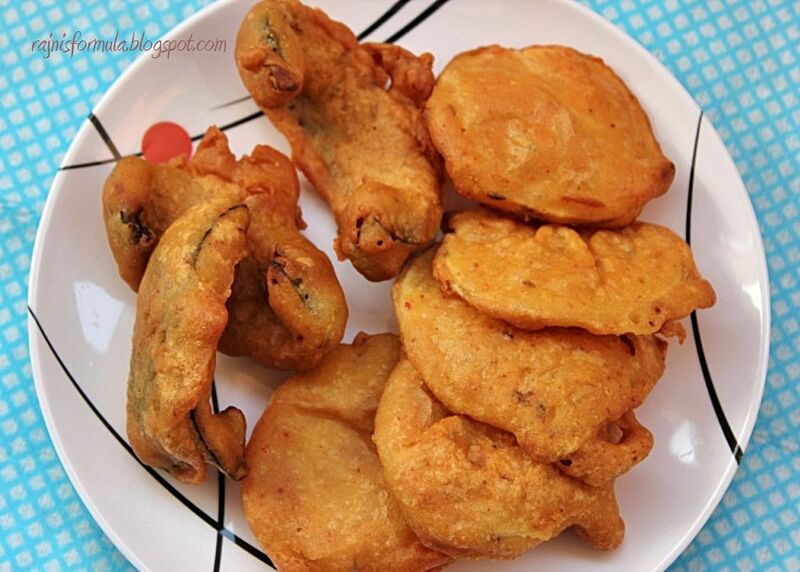 Bhajiyas are easy to make and ready to eat in just a matter of 20 min including the time taken for the oil to heat. 1. Cut potatoes into thin slices, capsicums into long, thick strips. 2. Make a batter of gram flour (besan), salt, asafoetida, cumin seeds, red chilli powder. Using a whisk helps. 3. The batter should be of a pouring consistency (say, dosa-batter) – if it is too thick the batter coating may not cook properly. 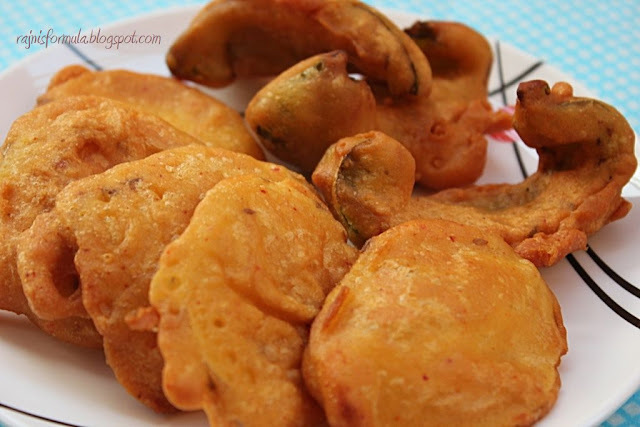 The bhajiyas will even puff up with the right consistency. 4. Heat oil in a deep pan/kadai. 5. 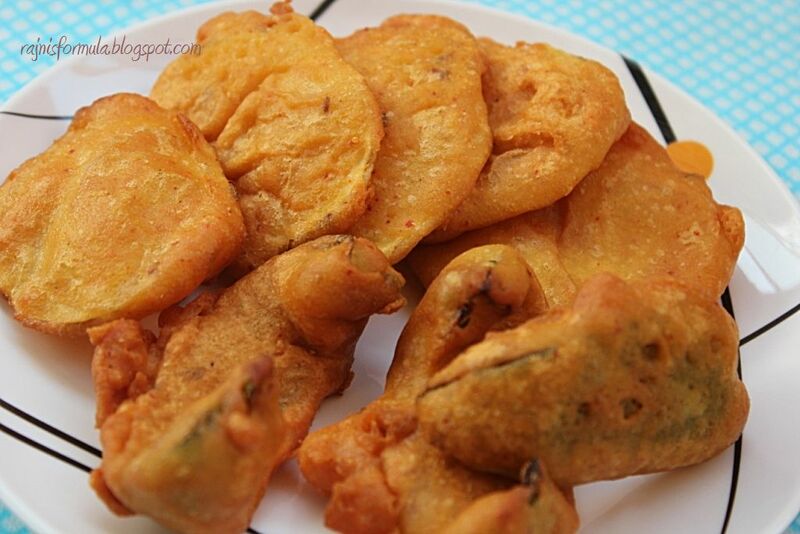 Dip the potato slices and capsicum strips in the gram flour batter and drop one by one in the hot oil. 6. Remove when they are cooked well and golden in colour. Place on a tissue to remove excess oil.